Forget store bought. 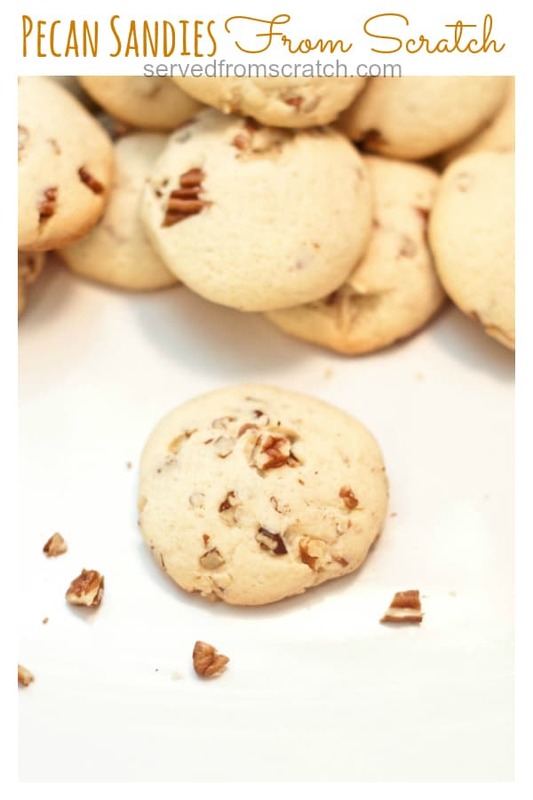 Make your own Pecan Sandies at home, from scratch, and taste how much more delicious they are when they’re homemade. If you come to our house, something you can be pretty sure you won’t find: store bought sweets. Years ago my husband and I made a rule for ourselves when it comes to desserts- if we want it, we make it. Which some people may think is crazy, but it undeniably helps us not only eat fewer sweets, but also really enjoy them when we have them! Ice cream craving? No problem: No Churn Caramelized White Chocolate Ice Cream! Girl Scout Cookie Craving? 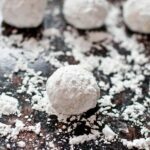 Easy: Thin Mints From Scratch! Candy craving? Sure! 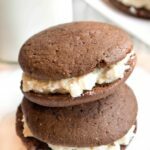 Homemade Peppermint Patties or Inside Out Peanut Butter Cups! 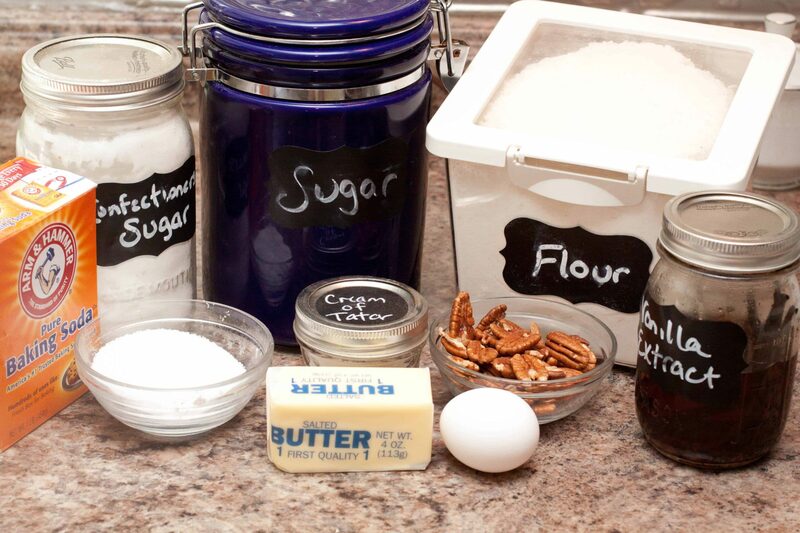 Heck, even if I’m craving Nutella, we can make that from scratch, too! Which brings me to these delightful little cookies. A few days ago I got into my head that I wanted some Pecan Sandies Cookies. 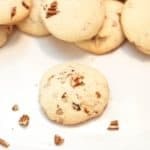 I remembered how my mom used to love the Keebler Pecan Sandies and then of course because I was thinking of them, I had to have them. Luckily, they’re super easy to make. It’s a pretty simple dough to make. Especially if you have a great mixer; we love the Kitchen Aid Professional 600. Just mix everything together (and oh hey you know you can make your own Vanilla Extract From Scratch, too, right?) and then let it chill for a little while. The dough is firm and not sticky at all so it’s really easy to roll into balls then flatten on an un-greased baking sheet. Baked for about 12-14 minutes in a 350 degree oven and done! So easy! And it totally fulfilled my Pecan Sandies craving. Since I used butter for these guys they’re lighter and airier than the Keebler brand. But in my book, I’ll chose real butter over shortening in a cookie any day. Mix together flour, baking soda, and cream of tartar and set aside. In the bowl of a stand mixer, or another large bowl (if using a hand mixer), cream butter, and sugars together until fluffy. Then add vanilla, salt, and egg and beat until smooth. Slowly add the flour mixture to the sugar mixture and mix well after every addition, the dough will be a little thick. 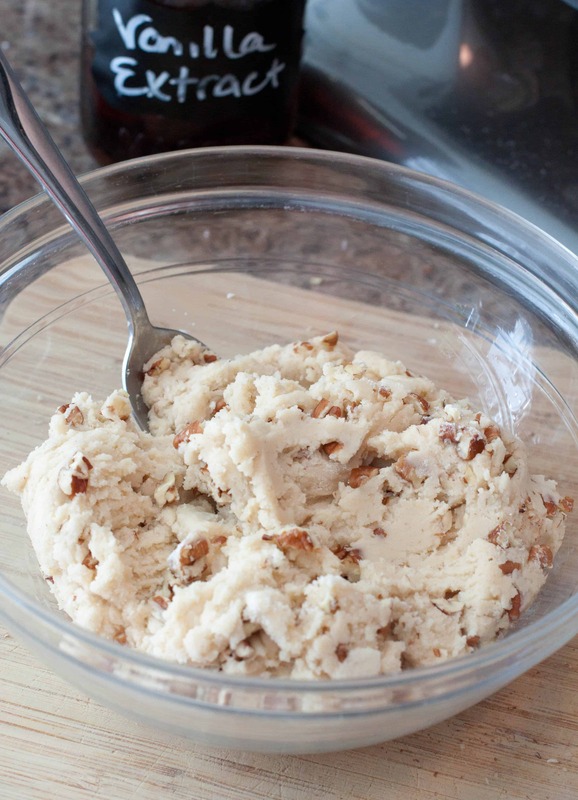 With a large spoon, add the pecans and mix. Cover the bowl with plastic wrap and chill for 30-45 minutes. Roll dough out in 1 1/2 in balls and put on to an un-greased baking sheet. Flatten each ball to about 1/4 - 1/2 inch thick. Bake for 12-15 minutes until cookies are slightly browned. Cool on a wire rack and enjoy! Store in a air tight container. My mom used to love these when I was a kid.. brings back memories! 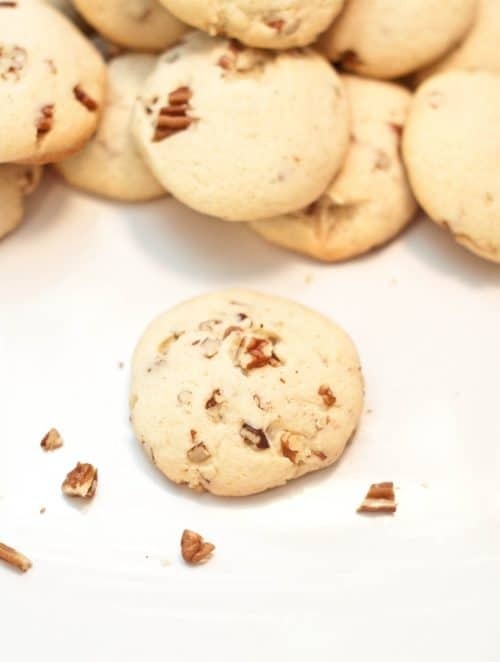 Pecan + Cookie… what’s not to love? 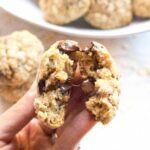 They look super simple to make and delicious, a must-try for tea time! I love how easy these sound to knock up. Perfect when you need a treat for the kids! 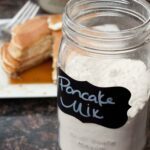 So going over to check out your homemade vanilla extract too! 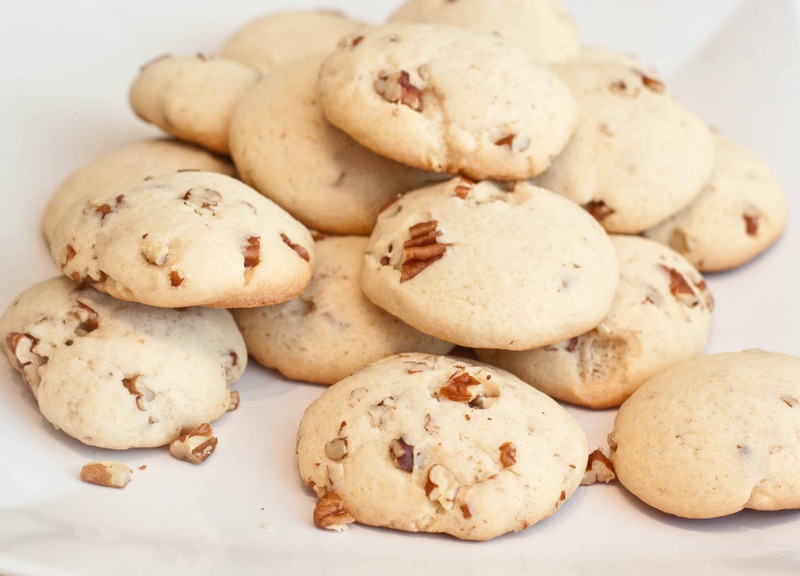 Looove Pecan Sandies! Such a great classic. Whoa, I have to try these! These are my mom’s favorite cookie and for some reason it has never occurred to me to make them from scratch. Yum! They look super, my wife has taken to making up a cookie dough and chilling/freezing it and then cooking individual cookies as we want them. Would that work with these? I love these cookies! Such a delicious addition to the holiday dessert spread! These remind me of the Norwegian pecan cookies we make every year. Since I’m total pecan fan I’ll be trying these. Where do u find creme of tartar? You can find it in the spice aisle!